We recently visited the city of Shiraz in southern Iran. A city located somewhat close to the Persian gulf(only a 45 minute flight to Dubai). As it happens this city is also our mother’s ancestral homeland. Some fifty years ago my brother and I used to travel to Shiraz during holidays, and on occasions, go to Persepolis, a palace that was once the ceremonial capital of Persian Empire. The earliest remains of Persepolis date back to 515 BC and exemplifies the Achaemenid style of architecture. Persepolis is located some sixty kilometers north of Shiraz. As children we climbed the hills around Persepolis pretending to be ancient Persian soldiers who fought Alexander the great. Alas the Persians were defeated, and in 330 BC, Alexander burned the palace of Persepolis. But even its ruins are enough to remind one of the glory days of the Persian empire and nearby, you still see black tents representing the travel path of Qashqi nomads, a nomadic tribe who has occupied the land for centuries. 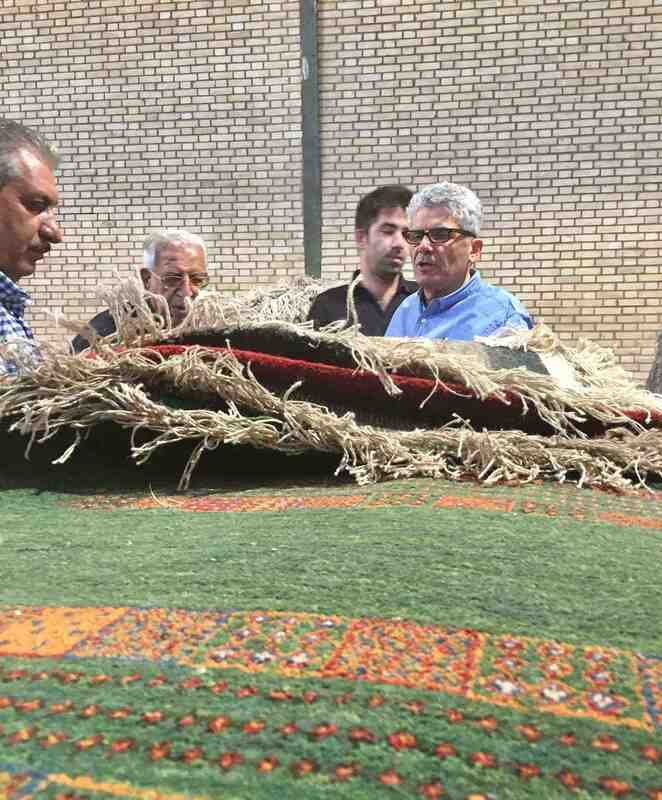 The Qashqi are well known for their weavings, and their rugs to this day, remain some of the best examples of Persian rug weaving tradition. Little did we know that one day we would return to this beautiful and rich land as rug dealers who live in the city of Minneapolis, Minnesota. Yet one could not scape the irony. 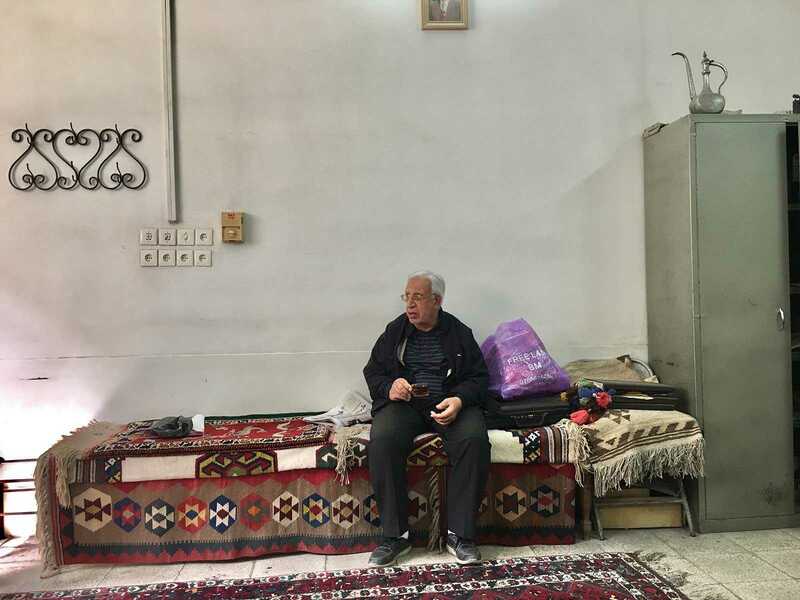 Are we not also nomads in some way, living in a world that has become much smaller, selling wares that we find from distant lands-just like the Qashqi who paid for their living through the making of their rugs- in their long journey in search of pasture? Much has changed in the ensuing 40 years since we emigrated to the west. Today Shiraz is a modern city with major freeways encircling it, and a modern subway, which in a dash, moves thousands of people from one end of town to the edge of the ancient bazaar. But the essence of Shiraz, its eternal sunshine, its palm and pomegranate trees, its bazaar, its mosques and its palaces, remain the same. Shiraz has also become the hub of professional tourists, those who have been to many countries and now, due to a Iran’s new openness to the west, are finally able to come and visit this magnificent gem. On this trip we had the fortune of having Haji Saadat, an important merchant in the Shiraz bazaar, along with us. We had planned to do some shopping and purchase some tribal rugs from the Qashqi as well as some Gabbeh rugs, tribal people’s thick-woolen weaving-often used as sleeping mat inside their tents. Haji was a soft spoken man who knew our family and its roots in the city. He was our “welcome key” to every shop in the bazaar. Like kids in a candy store, my brother and I were excited for the opportunity to purchase fine examples of tribal weavings at great prices. From time to time however, the Haji, who had noticed our childish over-excitement, would admonish us and tell us “not so fast, don’t get excited, this way you will never be able to get any deals.” We listened of course, but giggled and laughed too. At the end we were able to purchase one hundred rugs of various sizes and colors. Thanks to the Haji we could go back to Minneapolis with our bags full! As we arrived in the airport at two in the morning, we noticed a large group of tourists from European countries. Women from France and Italy wearing(awkwardly of course)the mandatory headscarf while immersed in reading their travel guide to Iran. This trip was short and sweet. Childhood memories revisited, we had accomplished some business, seen some monuments, castles and mosques, and fulfilled a desire. A desire to be part of this world, to be part of the hustle bustle of every day life in an ancient city.